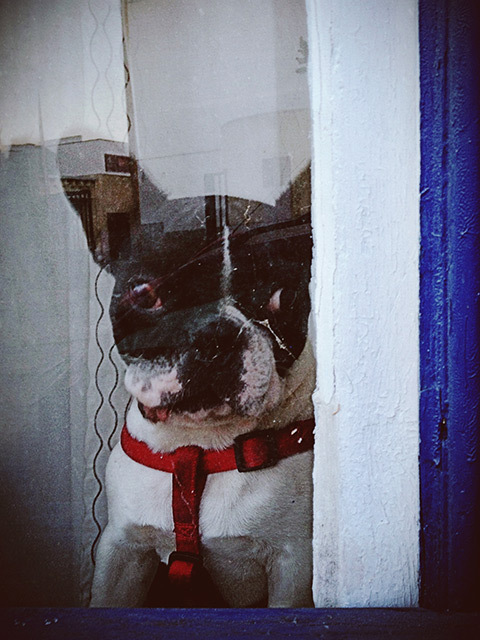 A new version of VSCO Cam is out. The release of 2.1 represents a major update, the biggest and most comprehensive ever for this iOS app, so far. 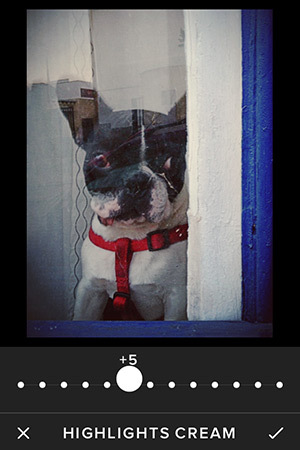 These are the main improvements and changes you will find in VSCO Cam 2.1. First of all, VSCO added the Highlights Tint and Shadows Tint tools, which are now available in the toolbox menu. For both you have a choice of among 6 colors — orange, yellow, cream, green, blue and magenta for highlights and purple, red, brown, yellow, green and blue for shadows. Like for all other settings, the amount of tinting applied can be adjusted to suit the look of your images; for achieving that, you have a slider with an intensity scale ranging from 0 to 12. Using the new tools, it’s possible to create split tone effects and to color balance images more accurately than through the temperature slider alone. Another important upgrade in the latest release is the possibility to edit the copyright notice in the photos’ EXIF data by adding to it the photographer’s name. To do this, you need to go into the app’s general side menu, then choose Licensing under the Settings selection. In the Licensing screen, you will find the blank Attribution Name space where you will be able to type in your name. 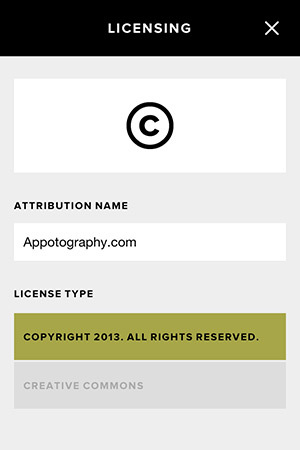 The updated copyright notice will be added automatically to all images saved and shared through VSCO cam. In version 2.1 overall memory usage was enhanced for a smoother shooting and editing experience and you can now check your memory and storage statistics from Settings, under the Debugging selection. There were also changes to the design of the app. Most notably, quality of medium and large thumbnail view was improved. Finally, VSCO Cam is now compatible with iOS 7. 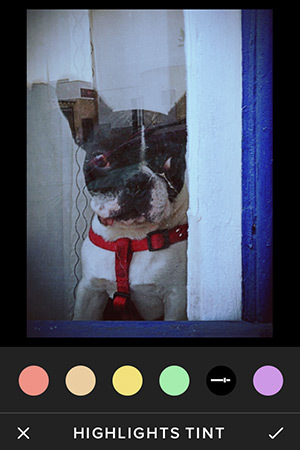 VSCO Cam is a free camera and editing app coming with several flexible filters to convey the look and feel of film stock. 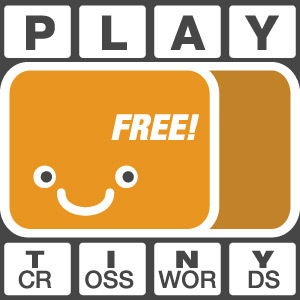 You can expand the potential of the app by dowloading free and paid extra presets. VSCO recently released a new free preset pack that you will able to get directly from the in-app store.